In a climate of economic downturn and general financial woes many companies are being hit with the prospect of dramatically reduced techno logy budgets in 2009. In this article SearchCIO-Midmarket.com reporter discusses Hamilton Beach Brands, Inc. CIO Jerry Hodge, whose operating budget was slashed from $2.1 million to $700,000. This problem is exacerbated by the fact that email has become an integral component of virtually every level of business, across virtually every business type imaginable. As the ubiquity of email has grown, so has its cost. This is due in large part to the increase in spam and malware, and the expense of filters to catch them. In this atmosphere of decreasing economic stability and increasing demands on technology, some companies are finding a compromise, and savings, in the deployment of Google Apps Premier Edition, and making use of Google’s web-based email solution, Gmail. Some companies were paying over $25 per user, per month for their staff to have email accounts. 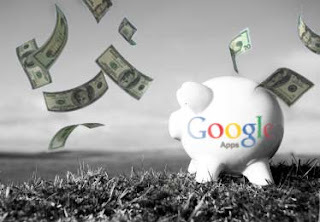 By comparison, the cost of deploying the Google Apps Premier Edition and using Gmail as the office email service is around $8 per user, per month. Out of 53 IT workers surveyed at major enterprise companies, around 85 percent were evaluating Gmail as a solution for moving their email services off-site. Any company with under 15,000 employees would benefit from using some kind of off-site solution. Although Microsoft Exchange Online offers significant savings over its locally hosted relative for organizations up to 30,000, the cost of deploying Google Apps came in at around half that of competing services. This is due in large part to the fact that Google’s client software is any web browser, most of which are free. For the full text of the article in Ars Technica, click here. What does this mean to you? Although not many medium or enterprise businesses have made the switch to hosted applications for their document needs, a growing number of businesses have switched to a hosted solution (including Google Apps and Gmail) to provide their email service. In most cases this has resulted in not only a significant savings, but also the ability to redistribute both budget and man hours for other strategic projects. While there may be something of an adjustment period for some people as they learn the ins-and-outs of managing their email in a web client, the benefits are clear. From a cost and administrative perspective it may be that the time has come to switch to a hosted solution.